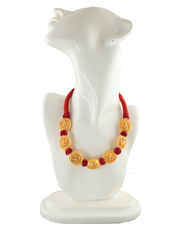 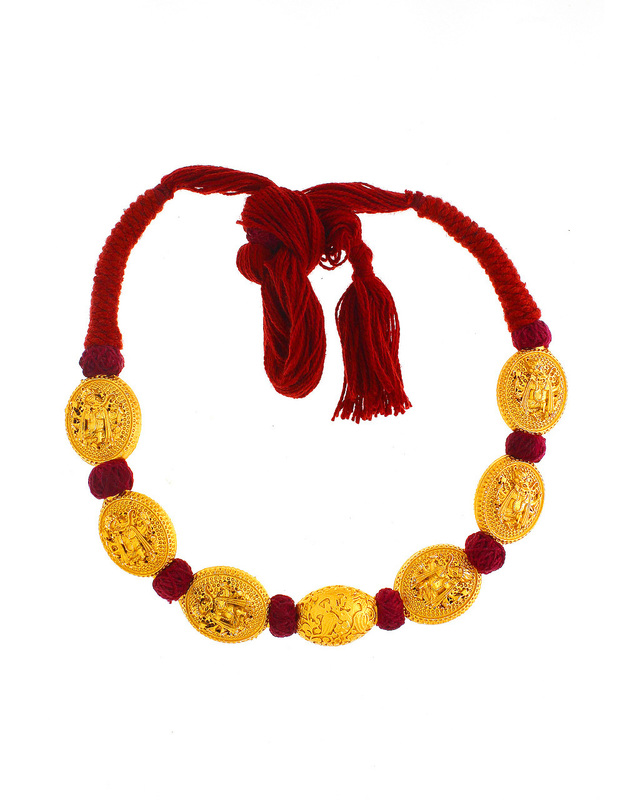 Anuradha Art Jewellery offers this red colour beautiful Rajasthani pattern thread necklace for fashion conscious women. 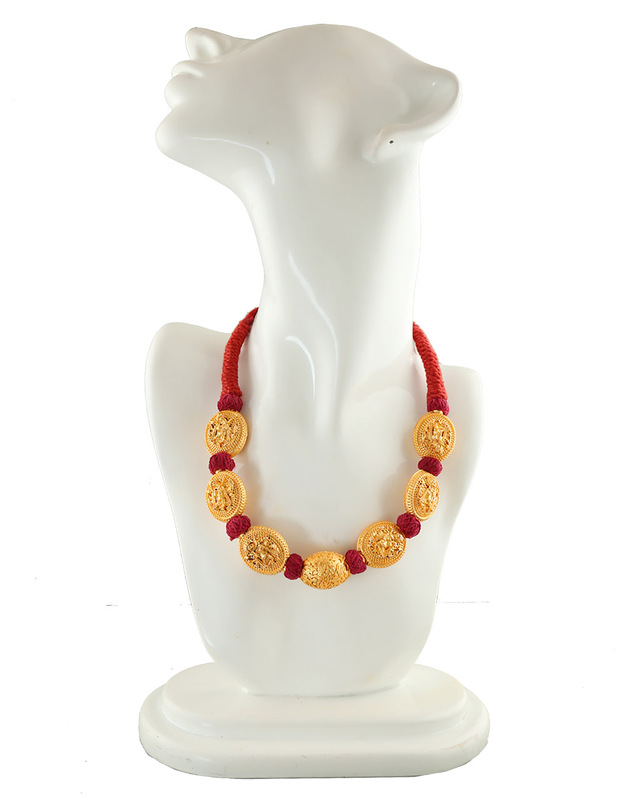 The metal crafted beads feature eye-pleasing intricate carving design on surface. Beads are woven into red colour woolen thread. 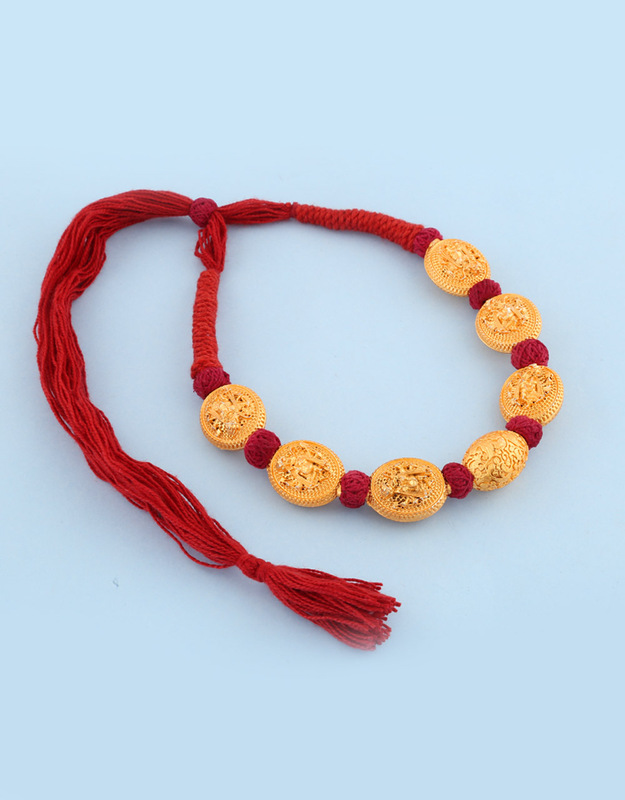 It will fetch lots of compliments from onlookers for your amazing choice. So order now!